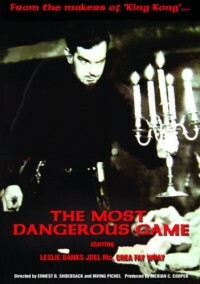 The Most Dangerous Game is, of course, based on the 1924 short story of the same name by Richard Connell. The story is iconic, and if this film was the first adaptation, it was hardly the last. The concept -- human beings hunted for sport -- has been used time and again, in film, literature, and TV. And in real life, unfortunately. The Zodiac killer referred to it, and Robert Hansen lived it, kidnapping women and hunting them down in the Alaskan wilderness. Which is sadly ironic, in that the story is a classic example of escape fiction, and was never intended to be taken seriously. This film, at least, is pure escape. It was made by many of the same people and at the same time as the original King Kong. Kong's Ann Darrow and Carl Denham are brother and sister here, two of four surviving members of a shipwreck that has cast them on an island ruled by General Zaroff, a Cossack and big-game hunter who has grown bored with hunting animals. 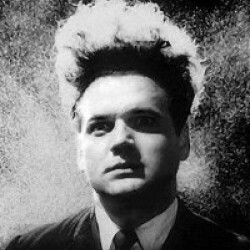 When the story opens, the two other survivors have already gone missing, after having been shown Zaroff's secret trophy room. This is all quickly revealed after Bob Rainsford's own ship wrecks on the reefs surrounding Zaroff's island. In the story, Rainsford improbably loses his balance and falls overboard. Later, Zaroff reveals false lights he uses to steer ships onto the reefs. In a nice bit of adaptation, screenwriter James Creelman collapses these two elements and ends up with a more believable scenario for getting everyone where he wants them. So the movie isn't without its virtues. At 63 minutes, it might as well be an extended TV show, a level on which it is engaging enough. But it isn't clever or surprising, and the excitement it generates is purely situational: you either get into it or you don't. Robert Armstrong overplays the drunk routine as Eve's brother, fortunately annoying Zaroff as much as us. When Zaroff invites Martin to his trophy room, it's really a blessing. Yet it's a good adaptation, proving that a short story -- even one as simple and direct as Connell's -- contains just about all that's needed to create a passable movie.